The Great Tribulation is not the wrath of God, they are in fact two very different events. Because of the false teacher in the Christian church, few understand just what the wrath of God is. This false teaching is presented in order to sell the theory of a gathering of the saints before the appointed time. All day long true believers are accounted as sheep for the slaughter. The Great Tribulation is not the wrath of God, one event represents a time of trial which is 3 1/2 years in duration, and the other is the Lord’s judgment. Salvation is received by those who are sealed with the Holy Spirit of promise from Yahshua. Hell and finally the Lake of Fire is reserved for the unbeliever. The wrath of God is the eternal separation from Him. Rev 12:12 Therefore rejoice, ye heavens, and ye that dwell in them. Woe to the inhabiters of the earth and of the sea! for the devil is come down unto you, having great indignation, because he knoweth that he hath but a time. Indignation or fierceness is the correct word to be used in Revelation 12:12, 15:1 and 15:7. In Revelation 16:19 the two words fierceness, and wrath, are used correctly. Rev 6:10-11 And they cried with a loud voice, saying, How long, O Lord, holy and true, dost thou not judge and avenge our blood on them that dwell on the earth. And white robes were given unto every one of them; and it was said unto them, that they should rest yet for a little season, until their fellowservants also and their brethren, that should be killed as they [were], should be fulfilled. Many are killed for their testimony of Yahshua during the Great Tribulation when Satan unleashes his wrath on the servants of God. To die for Yahshua is a sacrifice that only true believers are willing or able to endure. The Great Tribulation is not the wrath of God but the two witnesses will undoubtedly be preaching of the imminent wrath that is soon to come. These witnesses who confirm the covenant of Yahshua the Messiah with many are present on earth for this three and a half year period of great tribulation. After the sixth seal is opened, apparently the wicked will become aware of the imminent judgment that is about to come upon them. They will attempt to hide from the face of him that sitteth on the throne, even from the wrath of the Lamb (Rev 6:15-16). Rev 6:17 For the great day of his wrath is come (or coming soon); and who shall be able to stand? The day of wrath occurs at Yahshua’s second advent; so then the Great Tribulation is not the wrath of God, but this time of devastation precedes His judgment. Multitudes have allowed their false teachers by means of their doctrines of deception to lead them into a state of delusion. Both teacher and student alike have eyes but yet they do not see. They have been blinded by the cares and lusts of this world, and never truly come to the light of Yahshua who is the manifestation of the One true God. For where your treasure is likewise this is where your heart will also be. No one can serve two masters, we can trust in and serve God, storing up Spiritual riches, or put our trust in the things of this world that perish. The Great Tribulation is not the wrath of God, the verses below describe God’s wrath. To die for Christ is a privilege, to die apart from Him is unimaginable. Zeph 1:17 And I will bring distress upon men, that they shall walk like blind men, because they have sinned against Yahweh and their blood shall be poured out as dust, and their flesh as the dung. 2 Thess 2:1-3 Now we beseech you, brethren, by the coming of our Lord Yahshua the Messiah, and by our gathering together unto him, That ye be not soon shaken in mind, or be troubled, neither by spirit, nor by word, nor by letter as from us, as that the day of the Messiah (who is our Salvation) is at hand. Let no man deceive you by any means:for that day shall not come, except there come a falling away first, and that man of sin be revealed, the son of perdition (Emphasis added). A war unlike any other is coming, that will separate the wheat or true Children of God from the tares. Those who are not deceived and are walking in the light of Christ, see the evidence of this approaching intense Spiritual battle. The world will be will introduced to the man of sin also referred to as the son of perdition and the Beast. It is this Beast who is empowered by Satan, that causes a great falling away from the truth of Christ as a result of his lying signs and wonders. The Great Tribulation is not the wrath of God, but it will conclude with the appearance of Yahshua the Messiah, who will judge the inhabitants of this earth. He will gather together those which are in Heaven and on earth to reign with Him in His Kingdom (Eph 1:10, Mar 13:27). To better understand the Great Tribulation, which is three and one-half years in duration, and the false teaching regarding a rebuilt Jewish temple, the following articles are essential study guides. These articles are now available to members at christiantruthproject.com click here for the link. Luke 21:8 And he said, Take heed that ye be not deceived: for many shall come in my name, saying, I am (also of) Christ; and the time draweth near: go ye not therefore after them. When the realization comes that the Great Tribulation is not the wrath of God, and the pre-tribulation rapture is but an illusion many will fall away from the faith. When the hope of escaping from this time of trouble is lost, it will utterly destroy the belief system of those who bought into this lie. Luke 21:26-28 Men’s hearts failing them for fear, and for looking after those things which are coming on the earth: for the powers of heaven shall be shaken. And then shall they see the Son of man coming in a cloud with power and great glory. 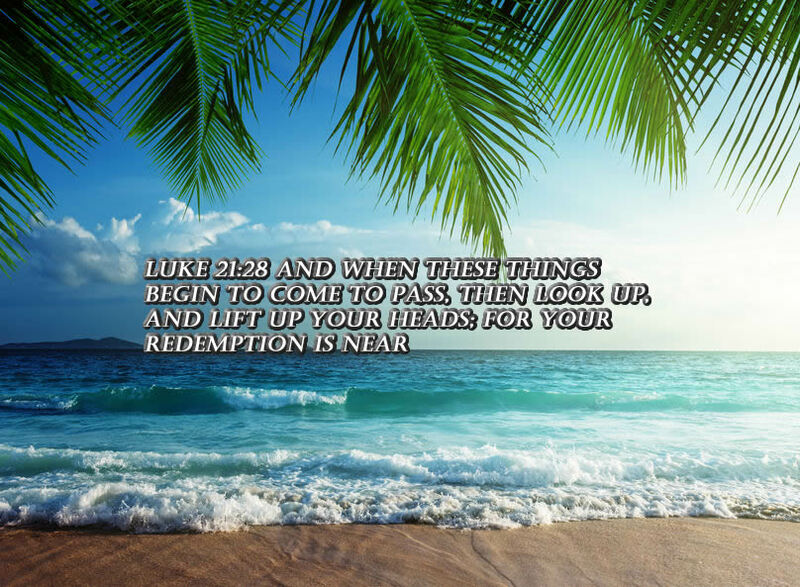 And when these things begin to come to pass, then look up, and lift up your heads; for your redemption draweth nigh. The coming of Yahshua and our gathering together unto Him are one in the same. He will reward all of the Elect that He gathers at the last trump. The Redemption of all believers occurs at the same time, and this is when our Salvation is fully realized (2 Thes 2:1). Only with purposeful deceit can one come up with three appearances of Yahshua. We are told in Hebrews that He will appear a second time with our Salvation. The deceivers again try to destroy a simple truth and come up with two separate events. The first one is a gathering of the saints some years prior to his return. The second one is the coming of our Lord at the end of the Great Tribulation period. Yahshua’s first advent was to provide for our Salvation, and his second coming is to reward his chosen with their Salvation. Mark 13:24-27 But in those days, after the great tribulation, the sun shall be darkened, and the moon shall not give her light, And the stars of heaven shall fall, and the powers that are in heaven shall be shaken. And then shall they see the Son of man coming in the clouds with great power and glory. And then shall he send his angels, and shall gather together his elect from the four winds, from the uttermost part of the earth to the uttermost part of heaven. Upon Yahshua’s return, He will Reign in His Kingdom wherein there dwells righteousness. 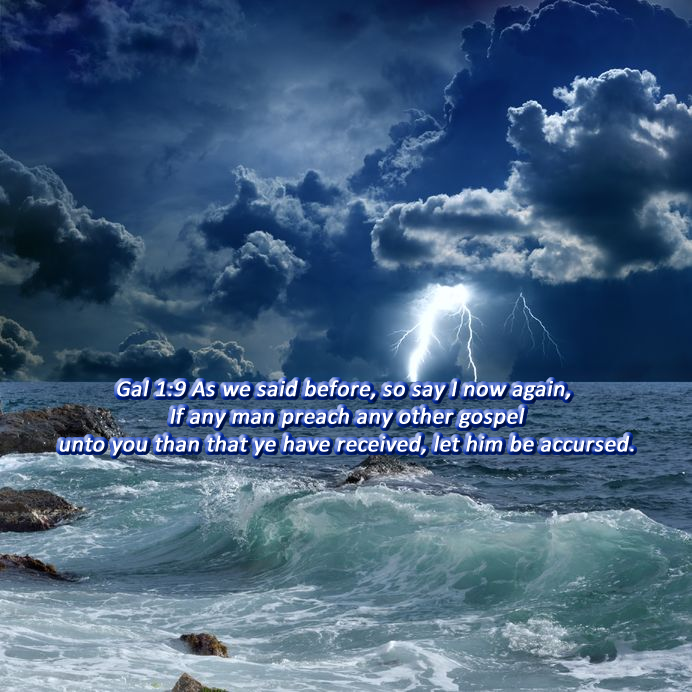 Although there are a lot of false teachings regarding the timing of His return, the Elect are gathered after the tribulation, further proving the Great Tribulation is not the wrath of God. Part of the armor that true Christians put on is the hope of Salvation. God has not purposed us suffer His wrath, rather we are to obtain Salvation through Him (1 Thess 5:8-9). The indwelling or Baptism of the Spirit is the key to opening and understanding the mysteries of the word of God. As well, those who are declared as righteous shall obtain immortality and incorruptibility (Rom 5:1, 9, 15:16, 1 Cor 6:11, 15:53-54, Heb 2:11). The rewards that are given are unto this transformation, which is necessary if we are to reign with Yahshua at His second advent. The pre-tribulation rapture is a nonsensical doctrine of deceit, as flesh and blood cannot inherit the Kingdom of God. Also, the first judgment occurs when He returns to earth for the second time, and all will appear before the judgment seat of Christ (Jude 1:15, 2 Cor 5:10, Heb 9:27, 1 John 4:17). Apparently, this pre-tribulation rapture group is somehow able to escape the judgment of Yahshua. Many people have little interest in the book of Revelations because they believe in the lie that it does not pertain to them. The message in Isaiah and Luke both speak of the gift of Redemption all those in Yahshua will receive. This is only understood by those who are not caught up in the trinity deception. Yahshua is the image of Yahweh who was manifest in the flesh. Luke 21:27-28 And then shall they see the Son of man coming in a cloud with power and great glory and when these things begin to come to pass, then look up, and lift up your heads; for your redemption draweth nigh. Yahweh is our Redeemer, and this redemption is through Yahshua who is the image of the One true God (Isaiah 47:4, Gal 4:5, Rom 8:23). Refer to the article entitled, God was manifest in the flesh. Click HERE for the link. Blessed be the Lord God of Israel, that visited also to redeem his people (Luke 1:68). Although the Great Tribulation is not the wrath of God, the destruction during this short period of time will be unparalleled by anything since the beginning of creation. It will culminate in the physical return of Yahshua who brings forth both great rewards for the Elect, and a cataclysmic judgment for the deceived and deceivers. The verse above makes it quite clear that we all shall see him, including all who have not submitted unto his Lordship. What a glorious time for the true believers who will witness Yahshua’s physical return and then receive their Salvation (1 Cor 15:51, 1 Thes 4:15). Acts 1:9-11 And when he had spoken these things, while they beheld, he was taken up; and a cloud received him out of their sight. And while they looked stedfastly toward heaven as he went up, behold, two men stood by them in white apparel; Which also said, Ye men of Galilee, why stand ye gazing up into heaven? this same Yahshua, which is taken up from you into heaven, shall so come in like manner as ye have seen him go into heaven. There will not be a secret pre-tribulation gathering and then another return where Yahshua reigns on earth. This would require a third advent of God in the flesh, but this notion is nowhere to be found in scripture. Heb 9:28 So our Messiah was once offered to bear the sins of many; and unto them that look for him shall he appear the second time without sin unto salvation. The Great Tribulation is not the wrath of God, however, without the Spirit of Christ, it will be impossible to endure these tribulations. The false Christ and false prophet will perform great signs and wonders; insomuch that, if it were possible, they would deceive even the very elect (Mat 24:24). 1 Pet 4:12-13 Beloved, think it not strange concerning the fiery trial which is to try you, as though some strange thing happened unto you: But rejoice, inasmuch as ye are partakers of Christ’s sufferings; that, when his glory shall be revealed, ye may be glad also with exceeding joy. The Elect will faithfully endure with and for Christ. The reward promised to the Elect is their Salvation, which includes the redemption of our sinful flesh (Rom 8:23, Eph 1:14). All who are sealed wait for the adoption, and transformation at the day of redemption; this is also referred to as our deliverance. The Great Tribulation is not the wrath of God, but it will try our faith. However, through the Spirit of Christ, we can become conquerors. We will take part in His suffering because the world also hates the light that we shine, illuminating deceptions and exposing evil. Interestingly enough a dead church also hates this light. A lot of scriptures have been twisted and fabricated to sell the rapture deception story. The claim is that both the followers of Christ and the Holy Spirit are removed, and yet many ungodly people will accept the Messiah during the great tribulation. Without the Spirit of Christ, no one can belong to Him, so the false teaching that the Holy Spirit is taken out of the way is complete and utter jibberish. All who believe albeit falsely, that they are saved, are practicing unrighteousness because they received not the love of the truth, that they might be Saved (2 Thess 2:10). Because of this God will send them a strong delusion, that they should believe a lie (2 Thess 2:11). If the righteous (or elect) be scarcely saved, what chance do those who are supposedly left behind have? Rev 13:12-14 And he exerciseth all the power of the first beast before him, and causeth the earth and them which dwell therein to worship the first beast, whose deadly wound was healed. And he doeth great wonders, so that he maketh fire come down from heaven on the earth in the sight of men, And deceiveth them that dwell on the earth by the means of those miracles which he had power to do in the sight of the beast; saying to them that dwell on the earth, that they should make an image to the beast, which had the wound by a sword, and did live. This second beast also referred to as the false prophet, will do amazing things and will deceive the world with real miracles and wonders. People that are spiritually blind will see and believe in this grand illusion (Rev 19:20). It is easy to say you follow the Messiah, but it is an entirely different matter to live for Yahshua daily, submit to his plan and allow Him to be the Lord of your life. The Great Tribulation is not the wrath of God, but to suffer at the hands of this last beast system will require a real sustaining faith. Mat 13:20 But he that received the seed into stony places, the same is he that heareth the word, and anon with joy receiveth it;Yet hath he not root in himself, but dureth for a while: for when tribulation or persecution ariseth because of the word, by and by he is offended. Many who say they are believers will fall away once the antichrist comes onto the scene, with his intense persecution of those who claim to be Christians. The fearful worldly person who puts all his emphasis on trying to save his life on this earth will lose it. However, the spiritual man who is willing to sacrifice his life for Yahshua and the gospel will receive eternal Salvation. The Elect do indeed understand that the Great Tribulation is not the wrath of God because it is a lie. Over time gross distortions are accepted as truth. We live in this time right now. During the great tribulation period, the Anti-Christ and the false prophet would deceive if it were possible even the very elect who are Spirit-filled and walking in the truth. When we pray “lead us not into temptation” this is not of a physical escape from being enticed by sin. When we are delivered from evil it is God’s Spirit residing in us that keeps us from obeying the lusts of the flesh. Likewise, the message to the church in Philadelphia is Spiritual in nature. It is the Holy Spirit that has always allowed God’s chosen to endure persecutions, which are contrary or foreign to those with a carnal mind. Once we can separate ourselves from the desires and cares of this flesh and the love of this world, we can then faithfully endure the tribulations that are sure to come to those of us who walk with Yahshua. Taking verses out of context to fit a selfish desire is the new gospel interpretation method employed to deceive the hearts of the simple. When we read all of Luke chapter 21, the things we want to escape from becomes obvious. Deception, distress, lack of wisdom and great fear are but a few of the conditions we want to be delivered from. Interestingly enough the things that most true followers of Yahshua do not escape from are persecutions, betrayal, and death; this too proves the Great Tribulation is not the wrath of God. There is a heavy price to pay for adhering to deceptive doctrines. This is the work of iniquity practiced by the fearful and self-righteousness. 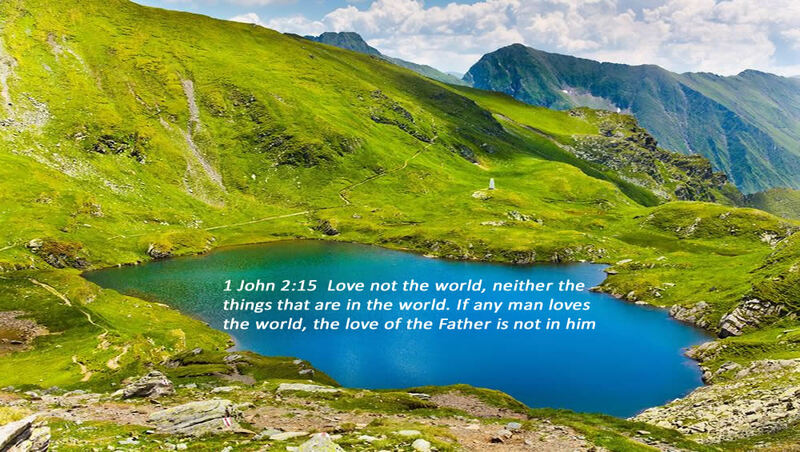 He who loves his life will lose it, but he that hates his life in this present evil world will receive eternal life. If we truly have faith and hope in Yahshua, then we are willing to die for His sake and the Gospel if need be. During this period of time known as the great tribulation, the brethren, saints, and fellow servants are mentioned. The church of God will most definitely go through this time of tribulations. Are mainstream Christian’s somehow able to escape these things, because they are holier than the apostles and all others martyr’s who have given their lives for the faith? If all Christians are gone before the Great Tribulation starts, please consider this group of martyr’s who are beheaded for refusing to partake in this satanic deception? Do you really think it is possible with the greatest deception ever imagined on earth that this verse refers to a group of nonbelievers who suddenly turn to Christ? The kingdom that Yahshua speaks of is the one He establishes on earth. The ones who are taken are to be destroyed. Few are ready or willing to really suffer for the sake of the Gospel. And without the understanding of the truth which is only available through the Spirit of Truth, great lies are accepted as reality. Many who preached the true Word of God and exposed those that were deceivers, suffered greatly for daring to speak the truth. There is very little persecution in the false church today, as it is not a threat. It is simply self-absorbed and self-righteous. This is also the reason that the world is not changed by this group for the better, as they have nothing to offer except enticing words based on their own wisdom. Those who understand that the Great Tribulation is not the Wrath Of God through the Spirit can and will suffer loss and count it as gain. It is by the Spirit that we patiently wait for the hope of our Salvation through faith. Every time that salvation, redemption or resurrection of the believer is mentioned, it is always referred to in the future tense. 1Thes 4:14 For if we believe that Yahshua died and rose again, even so them also which sleep in Yahshua, will (our) God (Yahshua) bring with himself. Emphasis added. Those who speak of a return of Christ to take the church out before the great tribulation must not understand this verse. Yahshua brings His Saints with Him, and they too receive resurrected bodies (Col 1:12, 1 Thes 3:13, Rev 11:18). He does not bring them just to take them away again. The dead in Yahshua will rise first, and those that are alive at His coming are caught up to meet Him. Nowhere in scripture is it taught that we will reign in Heaven with physical bodies. The Elect, however, will reign on earth with Yahshua (1 Thes 4:15-17; Rev 5:10). John 11 23-24 Yahshua saith unto her, Thy brother shall rise again. Martha saith unto him, I know that he shall rise again in the resurrection at the last day. It is pretty clear from the above verse, that the timing of when the dead in Christ rise is at the last day, not three and a half or seven years before that time. 1Thes 4:16-17 For the Lord himself shall descend from heaven with a shout, with the voice of the archangel, and with the trump of God: and the dead in Christ shall rise first: Then we which are alive and remain shall be caught up together with them in the clouds, to meet the Lord of the air: and so shall we ever be with the Lord. The word caught up in the above passage, is where the misused word rapture as far as timing is concerned, comes from. Upon Yahshua’s return after the Great Tribulation all true believers, who are counted as the Sons of God, will be caught up or gathered to be changed. We will be clothed in righteousness and reign with the King of Kings. The prophet Daniel also speaks of the dead in Yahshua that rise when He returns. This is after the Great Tribulation. And what is the timing of this glorious event that we patiently wait for? It happens at the end of the Great Tribulation, at the last trumpet. 1Thes 5:9-10 For God hath not appointed us to wrath, but to obtain salvation by our Lord Yahshua the Messiah, Who died for us, that, whether we wake or sleep, we should live together with him. The Great Tribulation is not the wrath of God but a time of trial, God’s wrath is eternal separation unto damnation. The Great Tribulation is not the wrath of God, but the wrath of Satan against the church. The Great Tribulation is not the wrath of God, but it will conclude with the appearance of Yahshua the Messiah, who will unleash His Wrath on the ungodly. When the realization comes that the Great Tribulation is not the wrath of God, and the pre-tribulation rapture is but an illusion many will fall away. Although the Great Tribulation is not the wrath of God, the destruction during this time will be absolutely incredible.